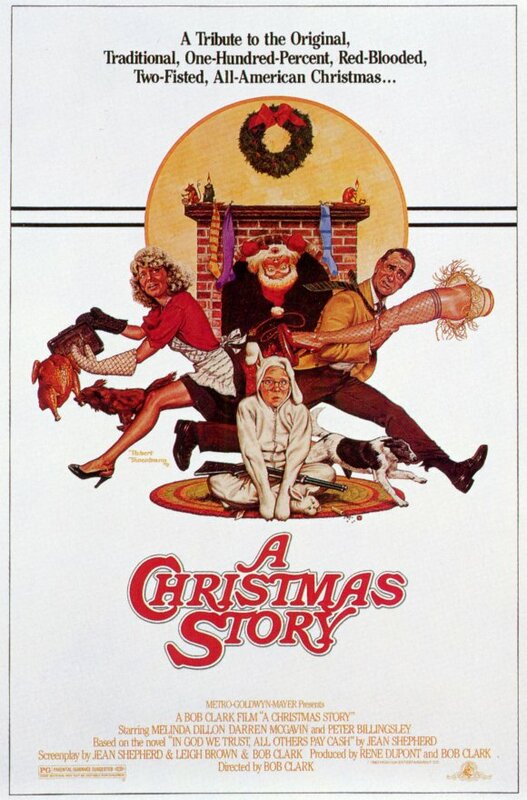 A criminally insane man dressed as Santa has been sneaking into houses in a peaceful neighborhood via the chimney, stealing valuable presents, sexualized lamps, and food, and sometimes beating up the family dog. The neighborhood is in the grip of fear, and any one of them could be next. But one little boy isn’t going to let Christmas be taken from him. Armed with his trusty rifle and clad in his bunny suit (the bunny being the natural enemy of Santa), this boy is changing the story of Christmas from terror to VENGEANCE! Some dork who still believes in Santa at age 9 really wants a BB gun for Christmas. His dad hates the furnace and his wife’s body. The real thing is a holiday classic, but the postulation version sounds pretty awesome; like Home Alone with more insanity and gunplay. Biggest problem with the poster? What the hell are Ralphie’s parents running from? Feliz NaviDEAD!! I’d buy that for a dollar!